There are an infinite number of cabinet design combinations available, which can make the selection process a bit daunting. 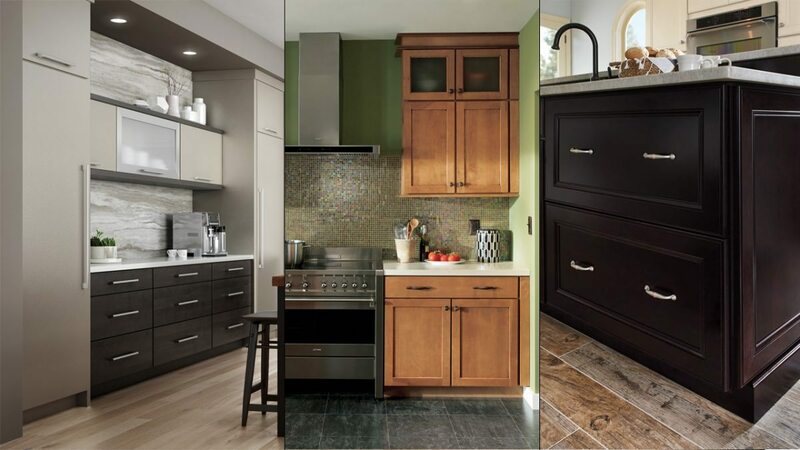 This article highlights three popular cabinet designs and provides readers with a head start on finding the right kitchen cabinets to fit their needs. The design experts at Mark Christopher Cabinetry are well versed in cabinet designs from modern to traditional, so schedule a free design consultation today. Though there are nuanced differences between the two, modern and contemporary designs are based on minimalism, geometric elements, and clean lines. To keep with minimalistic design elements, the cabinet doors in most modern kitchens are very basic. The most rudimentary modern cabinet doors are called flat panels with no frills or patterns. The most basic flat panel door is called a slab door. Slab doors consist of just a single panel that’s typically made from real wood or medium density fiberboard (MDF). 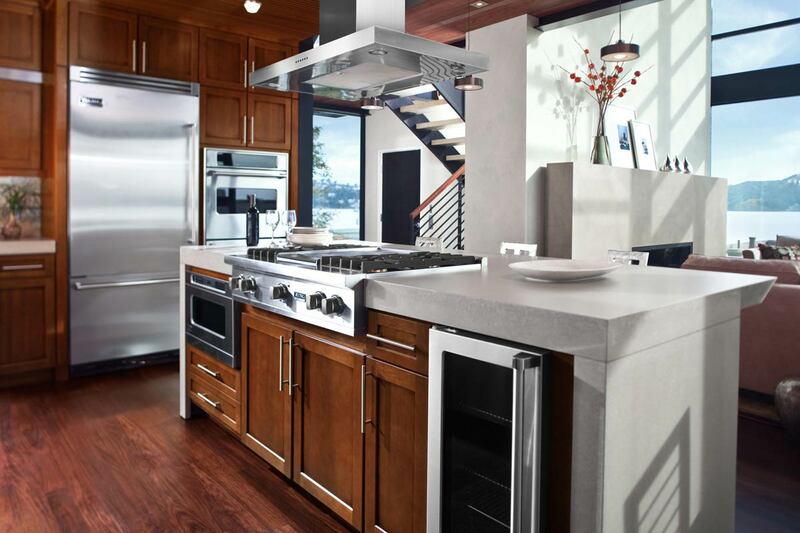 This style fits perfectly with contemporary kitchens that feature streamlined minimalistic designs. 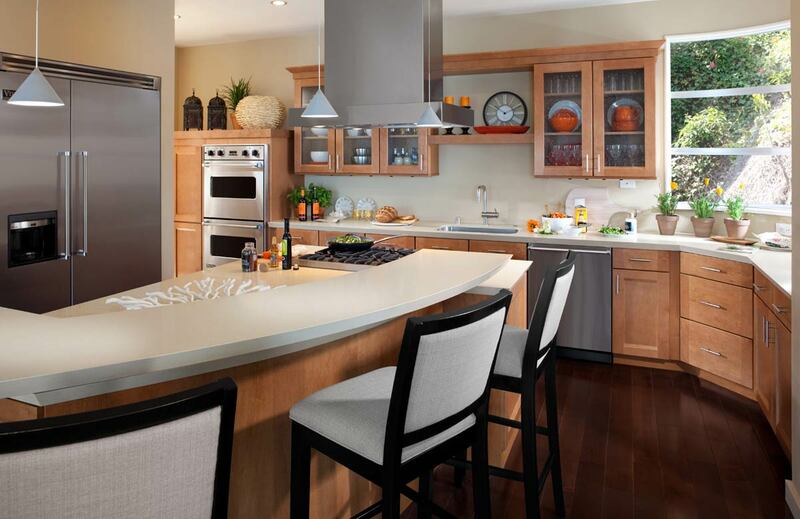 Kitchen cabinet hardware is often understated or hidden to maintain a streamlined look. Painted, stained, or laminate coated finishes are common in this style and the lack of grooves and contours on slab doors makes them easy to wipe down. Because of their simple construction, flat and slab doors are inexpensive options. One of the most popular uses for slab doors is in conjunction with full access or European cabinets. The actual cabinet box in these styles is frameless, so there is no overlay into the cabinet space. This offers a wider opening than traditional designs. Drawers and doors are typically mounted inside and the hinges are hidden because they are attached to the sides. Very little shows when the doors and drawers are closed, making this option a perfect complement to modern and contemporary kitchens. 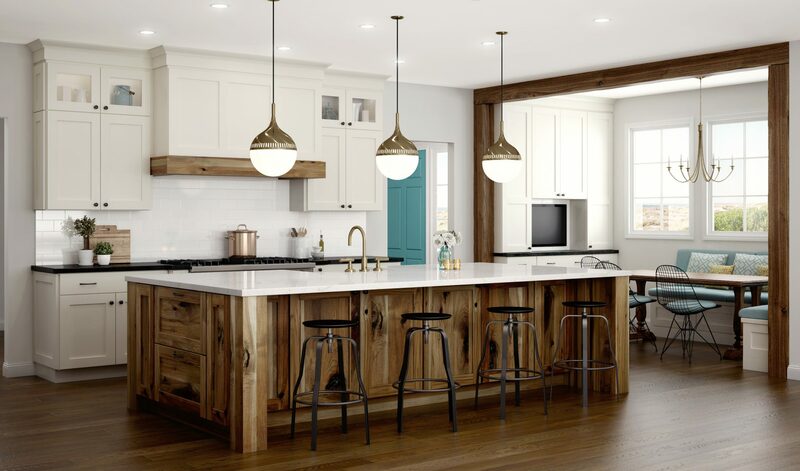 Shaker style kitchen cabinets consist of a slab panel framed by four pieces of wood. Framing adds a dimensional element to the door design while still maintaining the squared corners and simple lines of the original slab door. 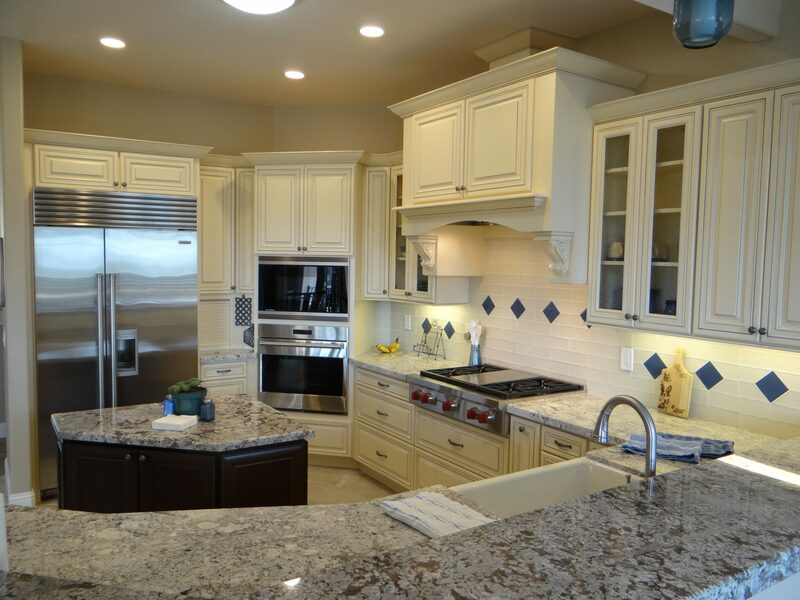 Shaker doors are very versatile, making them one of the most popular cabinet styles. Using a laminate finish or smooth, high gloss paint on a shaker door creates a look that goes well with contemporary designs. Conversely, the use of a wood stain or muted paint color makes for a traditional design scheme. Adding the proper hardware to shaker doors is key to tying together the overall aesthetic. One trend that is gaining popularity in almost all cabinet designs is the use of open or glass door cabinets. This can break up the monotony of a full wall of cabinets. It also provides a way to highlight beautiful china or decorative accoutrements. Retrofitting existing cabinets to include either open or glass elements is a fairly easy modification that really changes the overall look of a kitchen. Raised panel doors offer a traditional and more dimensional look than Shaker doors. Most raised panel doors are similar to Shaker doors in their framed construction, but the panels (and sometimes the frames) are contoured using a router with a panel raising bit or by cutting coves with a table saw. Raised panel doors are highly customizable and designs can range in complexity from one set of simple grooved cuts to impressively intricate and ornate elements. Inset cabinet doors provide a classic and beautiful look. Similar to the European cabinet style discussed earlier, inset cabinets appear to be seamless and frameless. But rather than eliminating the frame, the doors and drawers are set inside the frame and the hinges are exposed. To achieve the proper fit requires very precise measurements and masterful skill, making inset cabinets one of the most expensive options. But the results are unparalleled and timelessly beautiful. 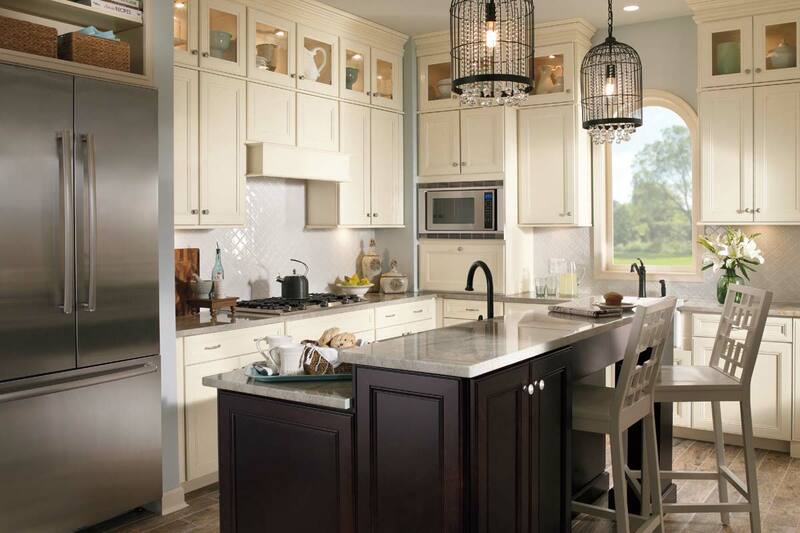 American Kitchen Cabinet has stunning examples of these and many other kitchen cabinet styles, all of which are available to experience American Kitchen Cabinet. Though looking online is an excellent place to start, nothing solidifies design decisions like opening, closing, seeing, and sliding the actual cabinets and drawers themselves.